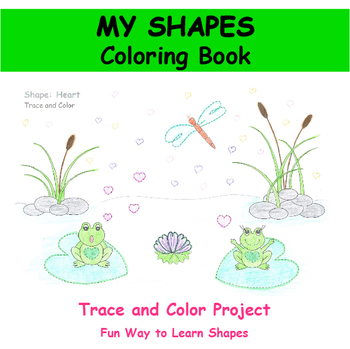 This Trace and Color book includes 10 unique coloring pages each hosting one of 10 shapes: circle, triangle, square, rectangle, oval, diamond (rhombus), hexagon, heart, star/moon and arrow. Each page is dedicated to a shape and only this shape is to be traced, the others are done and waiting for colors. 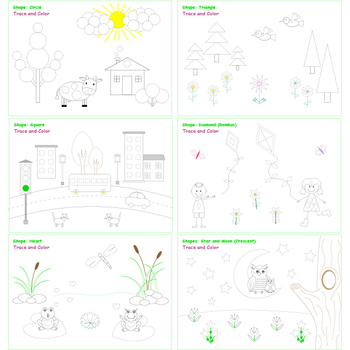 This way a child focuses on the shape, learns to draw it by tracing and understands where it can be found in real life or how to use them in their own drawings. 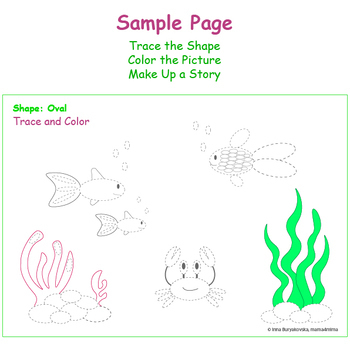 Cute and simple designs make fun of learning and bring more ideas towards new creations. They can be used as a bonus for early finishers, as a party activity, as a warm-up or to help little hands build fine motor skills. Children or adults, at home or in the class, on the lesson or for recess – you will always enjoy it.